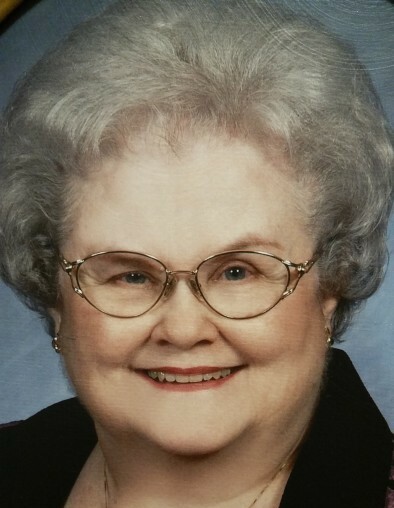 Marjorie Wilkinson Raborn, age 83, a resident of Baton Rouge, Louisiana, passed away on February 9, 2019. As a loving and devoted wife, mother, grandmother, and great-grandmother, Marjorie enjoyed gardening with a green thumb and nature, especially bird-watching. Marjorie loved selflessly while living life to its fullest and she loved music and outdoor fishing and hunting. Marjorie Graduated from Baton Rouge High School Class of 1954. Marjorie married William (Bill) Pierce Raborn, Sr. on August 20, 1955. She was a member of the International Order of the Rainbow for Girls, and The Order of the Eastern Star. Marjorie Raborn was a Notary Public for the State of Louisiana and retired from E Federal Credit Union after 45 years of service. Marjorie is survived by three children, William (Bill) Raborn, Jr., Dean Raborn (Patricia), Tammy Kelly; 2 Sisters, Barbara Spillman and Juanita Laiche (Clement); 5 grandchildren, Mikeal Kelly, Brittany Kelly, Brandon Raborn, Joel Raborn and Jacob Raborn; 4 great grandchildren, Alaina Kelly, Scarlett Raborn, Sullivan Raborn, and Sheppard Raborn. Marjorie Raborn is preceded in death by her husband William (Bill) Raborn, Sr., parents Brannoc Charles Wilkinson and Bernice Katzes Wilkinson. Visiting hours will take place at Resthaven Funeral Home on February 15, 2019 from 9 am until services at 11:00 am. Burial will follow at Resthaven Gardens of Memory. Pallbearers will be Brandon Raborn, Joel Raborn, Jacob Raborn, Mikeal Kelly, Brittany Kelly, and James Bailey. In lieu of flowers, please make donations to the St. Jude Children’s Hospital and or the American Diabetes Association. The family of Marjorie Raborn would like to extend our sincere thanks to Baton Rouge Hospice and Ollie Steel Burden Manor and First Presbyterian Church for the help and support during this difficult time. Family and friends may sign the online guestbook or leave a personal note to the family at www.resthavenbatonrouge.com.